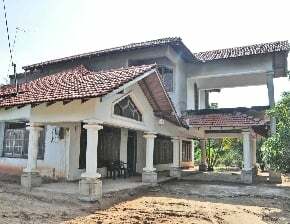 This luxury house is situated in very close proximity to the Chilaw Junction on the land side after pass the kaka palliya. This location is very convenient as all the super markets, banks, restaurants, bus stand, post office, railway station, schools, within a radius of 150 Mtrs. It`s only 2 minitues walk to Chilaw - Colombo main road. The Ground floor consists an entrance lobby, a large sitting room, two kitchens, 05 large double bedrooms, two bathrooms etc. The Upper Floor consists two spacious bedrooms, space kept for bathrooms, balcony. Three Phase 60 Amps. Electricity supply, overhead tank, pipe borne water service / well water.